We Now Have A 92% Pass Rate! Congratulations! 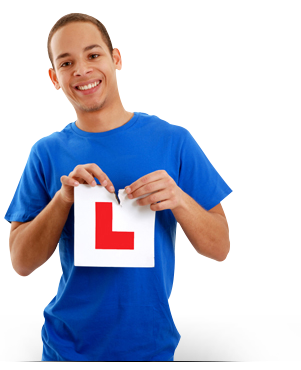 You have found the number one driving school in London for manual and automatic driving lessons with qualified male and female driving instructors. We are a network of driving instructors, who are ready to provide you with driving lessons in your local area. We offer driving lessons in most parts of London, in particular North West London, South West London, East London, North London and West London. Whether you're a new driver or an existing one, simply wishing to improve your driving skills, we can help. ​We pride ourselves upon our high pass rates and believe we can fulfil your driving training requirements and help you pass your driving test with confidence. Taking driving Lessons is not just to gain a driving licence, but it’s to help you maintain safe driving throughout your life. All our driving instructors have local knowledge of test centres and routes; therefore they will show you the route that you may have on your driving test. We use Driving Standard Agency Professional Driving Instructors, which means all our driving instructors are fully qualified. Using us and our Approved driving instructors will mean you save time and money! Qualified Male and Female Driving Instructors. Day, Evening and Weekend Driving Lessons. Reliable, Comfortable, Dual controlled cars. Get Up To 50% Off Your Car Insurance. Need A Early Test Date?